Bamboo fiber is extracted from the natural growth of bamboo in a cellulose fiber, is the second of cotton, linen, wool, silk and the fifth-largest natural fiber. Bamboo fiber has good air permeability, instantaneous water absorption, strong wear resistance and good dyeing and other characteristics, but also has natural antibacterial, antimicrobial, in addition to mites, odor and anti-ultraviolet function. Bamboo fiber is a natural environment-friendly green fiber a real sense. 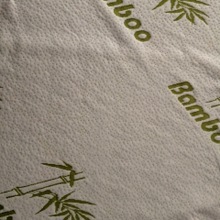 Bamboo fiber textiles because of its complete copy of the inherent properties of bamboo fiber, and much consumers, product demand increased year by year. 1, silky soft warm: Bamboo fiber feel smooth and delicate, full and very wide, soft, smooth non binding body, has a unique sense of velvet; bright colors; good drape, a unique elasticity. 2, cool and comfortable, absorbent, breathable and strong: Bamboo fiber cross section is filled with large and small oval-shaped pores can absorb and evaporate in an instant a lot of water, bamboo fiber is more than 1.5 times absorbent cotton; bamboo fiber moisture absorption, put wet, permeability ranking first in the major textile fibers, bamboo fiber towels in summer and autumn use, It was especially cool, breathable, fluffy and comfortable in winter and spring can rid the body to use excess heat and moisture, do not get angry, not fat dry. Bamboo fiber textile fibers other cool feature is also unmatched. 3, Green, natural antibacterial, antimicrobial resistance, skin care and cosmetics: bamboo fiber is the use of renewable resources, bamboo and manufacture of new fibers, natural degradation in soil decomposition without any pollution to the environment; it has a natural bamboo anti-mite, odor, pest control and produce negative ions characteristic, easy to breed bacteria, has antibacterial, antifungal, moth effect: its common harmful bacteria Escherichia coli, Staphylococcus aureus, Candida albicans, which are very good antibacterial effect, can cut off the route of transmission of disease, the protection of human health. Because natural antibacterial bamboo fiber products function, which made the products do not add any synthetic antibacterial agent, does not cause skin allergy, with skin care cosmetic effect. 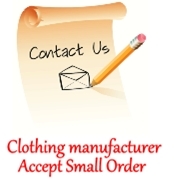 Askwear strongly recommend clients produce underwear and other clothing use bamboo fiber.